Tokyo Monorail is a monorail system connecting Haneda Airport to Hamamatsucho Station. 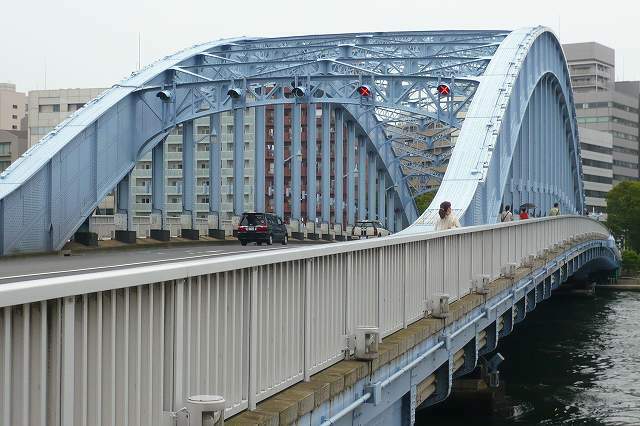 The trains operate along an elevated line that follows the coast of Tokyo Bay. The line opened in 1964 to coincide with the 1964 Summer Olympics. Built by Hitachi Monorail, the first cars were made in Japan from the German ALWEG design (also used in the Seattle and the original Disneyland Monorail), and were replaced by newer models in 1969, 1977, 1982, and 1989. 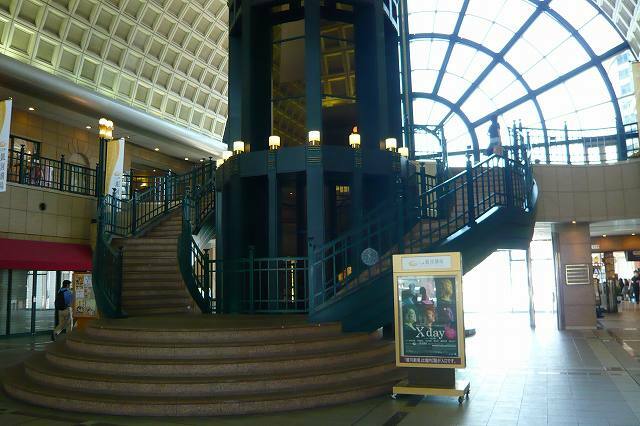 Originally, the monorail only served Hamamatsucho and the airport. The first station added in between was the Ooi Race Track in 1965, followed by Seibijou in 1967. When the monorail began operation, the passenger terminal at Haneda Airport was located on the west side of the airfield, south of Seibijou, and this was the southern terminus of the monorail. Upon the opening of the new passenger terminal (now Terminal 1) in 1993, the monorail was extended to a new platform, and the former passenger terminal was razed to make room for an extension of Runway B. 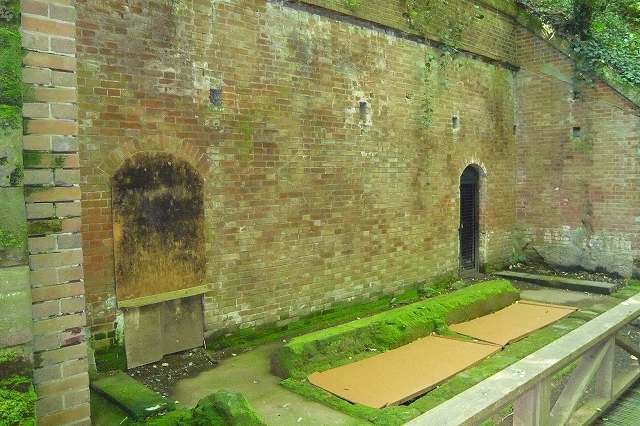 The now-unused monorail tunnel leading to the old station was leased from the Transport Ministry and therefore had to be restored to its original state prior to its handover. Although the rails were removed from the tunnel and its entrance walled off, the tunnel remains otherwise intact today below the extension of Runway B.
A1-station, 0.9km extension to Haneda's new Terminal 2 opened on December 1, 2004, and the opening of a passing loop at Showajima allowed starting express services from March 18, 2007. Currently, the Tokyo Monorail serves ten stations and handles about 300,000 passengers on weekdays, operating from 5:30 AM to midnight with over 500 trains. The Kamen Rider Series is a metaseries of Japanese tokusatsu which generally features an insect-themed motorcycle-riding superhero who fights supervillains referred to as kaijin. The franchise began in 1971 with a show titled Kamen Rider which followed college student Takeshi Hongo and his quest to defeat the world-conquering Shocker organization. Over the years, the popularity of the franchise has grown and the original series has spawned many television and theatrical sequels. The cultural impact of the series in Japan resulted in astronomer Akimasa Nakamura naming two minor planets in honor of the series: 12408 Fujioka, after actor Hiroshi Fujioka, known for his portrayal of Takeshi Hongo/Kamen Rider 1, and 12796 Kamenrider, after the series, itself. 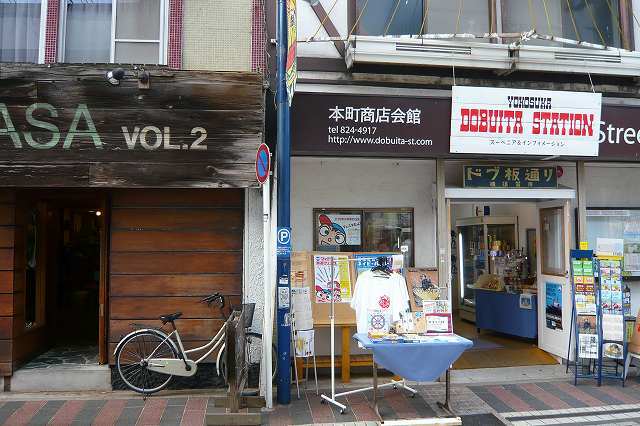 Although each entry in the series is different, each one shares similar traits with one and another. All generally involve at least one young adult male transforming into a Kamen Rider to fight various monsters and organizations linked to that specific Kamen Rider's origin. As the series progresses, the Rider often learns more about the monsters in the series, other Kamen Riders or the origin of his powers. Early Kamen Riders were generally based on grasshoppers, but this practice has only been done twice in the newer set of shows. Usually referred to as Rider Machines, motorcycles are an integral part of the series. Since 1971, Suzuki originally provided motorcycles for the series until Kamen Rider Agito when Honda became involved and the single Ducati featured in Kamen Rider Double. Early Kamen Riders wore scarfs along with their costumes, but this practice was dropped with Kamen Rider Black until the premiere of Double. A trait shared among recent Kamen Riders is their ability to change forms and become stronger versions of themselves. The first power up appeared in Kamen Rider Stronger which was used by the title character. Kamen Rider Black RX had multiple forms, Roborider and Biorider. Since then, every title Kamen Rider in the Heisei era has had at least one power up with Kamen Riders Kuuga and Double having the most at 11 each within their respective series. All Showa Riders gained their powers through some form of surgical alteration to their bodies, a practice rarely seen in Heisei Riders who are often simply "naturally" different from normal humans (imbued with mystical powers, protagonistic kaijin, etc.) or are given access to advanced technology. The nature of the Heisei Riders also varies greatly; whereas all early Showa Riders fought on the side of justice and peace, there have been numerous Heisei Riders that have fought for personal reasons such as greed, revenge, the personal enjoyment of battle, and even as antagonistic characters. Nichiren was a Buddhist monk who lived during the Kamakura period in Japan. Nichiren taught devotion to the Lotus Sutra, entitled Myouhou-Renge-Kyou in Japanese, as the exclusive means to attain enlightenment and the chanting of Nam-Myouhou-Renge-Kyou as the essential practice of the teaching. Various schools with diverging interpretations of Nichiren's teachings comprise Nichiren Buddhism. 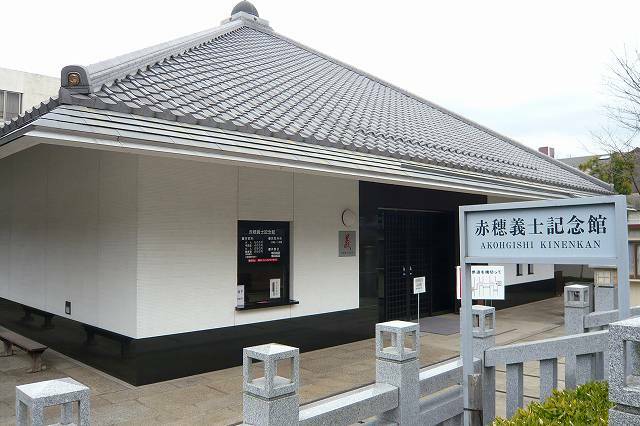 Nichiren was born on February 16, 1222 in the village of Kominato, Nagase District, Awa Province (within present-day Chiba Prefecture). 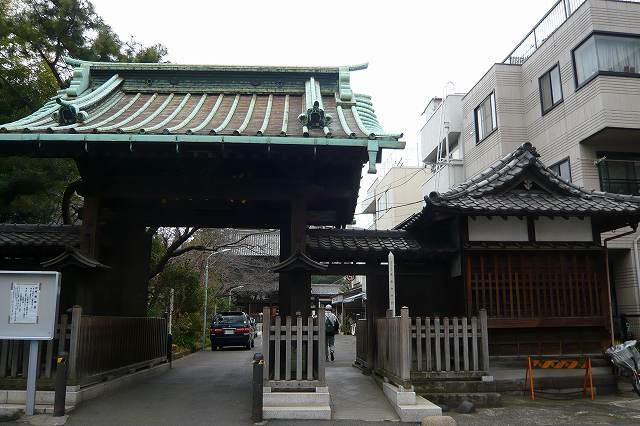 Nichiren's father was Mikuni-no-Tayu Shigetada, also known as Nukina Shigetada Jiro and his mother was Umegiku-nyo. On his birth, his parents named him Zennichimaro (善日麿) which has variously been translated into English as "Splendid Sun" and "Virtuous Sun Boy" among others. 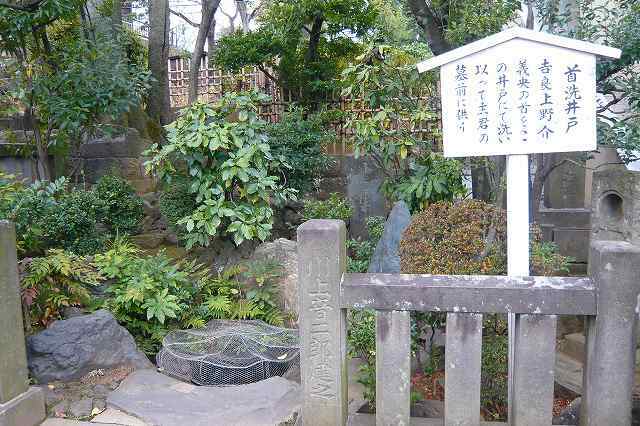 The exact site of Nichiren's birth is believed to be submerged off the shore from present-day Kominato-zan Tanjo-ji, a temple in Kominato that commemorates Nichiren's birth. 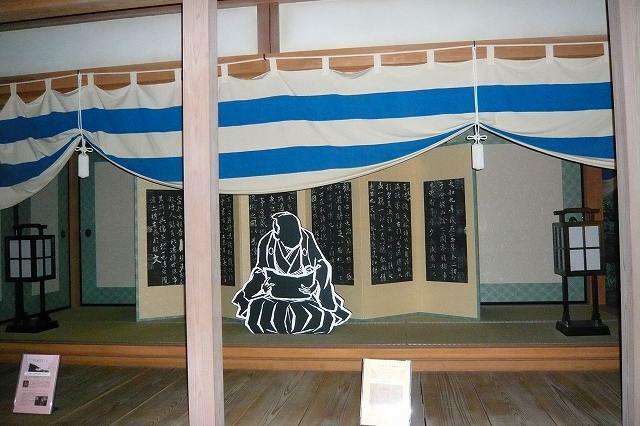 Some traditions suggest that Nichiren's family was associated with the Fujiwara clan. However, Nichiren never made such a claim and historians are skeptical of its accuracy. 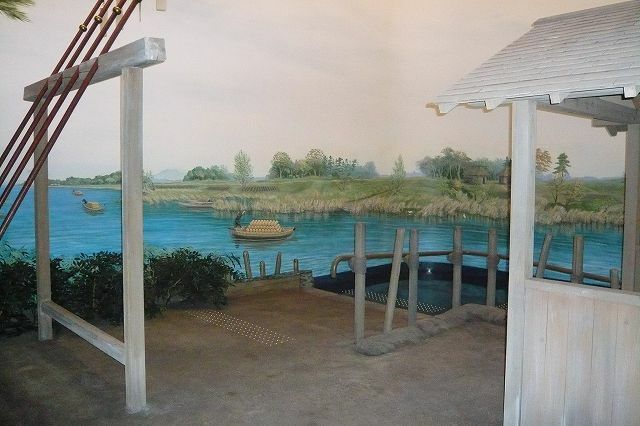 Nichiren wrote that he was "the son of a chandala family who lived near the sea in Tojo in Awa Province, in the remote countryside of the eastern part of Japan." 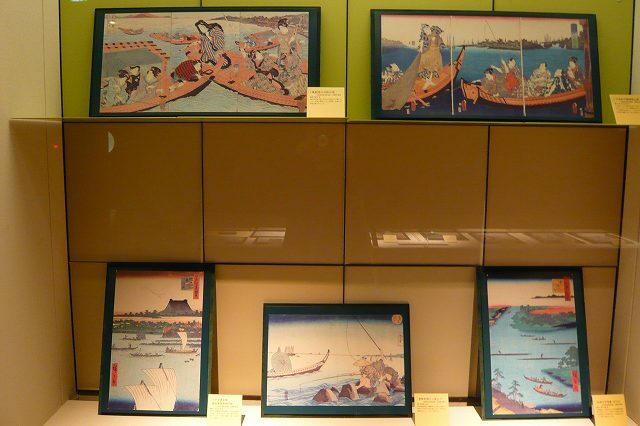 This has been interpreted to mean that Nichiren's family made their living in the fish trade, an occupation viewed with disdain by idealistic Buddhists of the time. Another suggestion is that Mikuni-no-Tayu Shigetada, Nichiren's father, had been a samurai, but had grown disillusioned with violence and retired to Kominato to make a living as a fisherman. Nichiren makes no such claim in his authenticated writings. 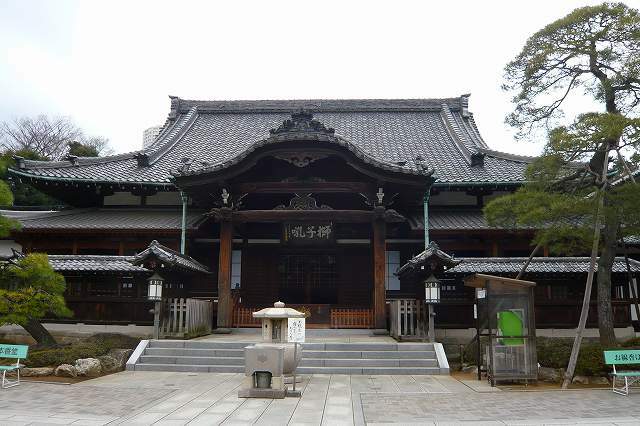 Nichiren began his Buddhist study at a nearby temple of the Tendai school, Seicho-ji, at age 11. 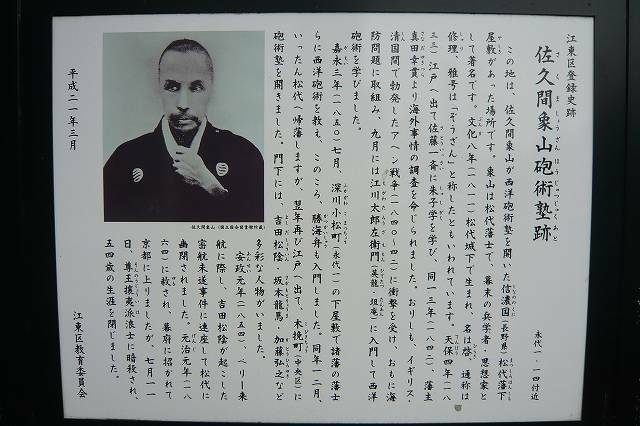 He was formally ordained at 16 and took the Buddhist name Zeshou-bou Renchou. 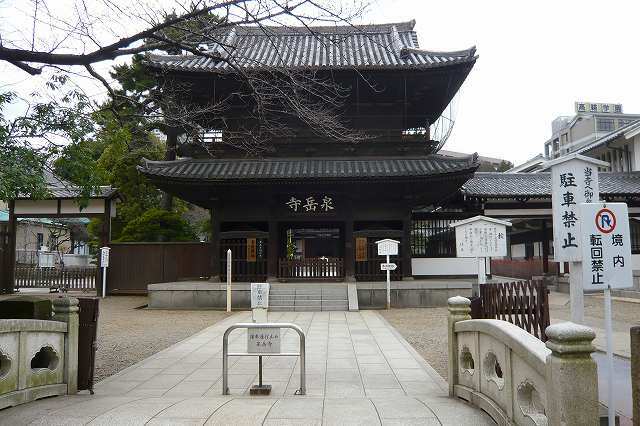 He left Seicho-ji shortly thereafter to study in Kamakura and several years later traveled to western Japan for more in-depth study in the Kyoto–Nara area, where Japan's major centers of Buddhist learning were located. During this time, he became convinced of the pre-eminence of the Lotus Sutra and in 1253, returned to Seichoji. On April 28, 1253, he expounded Nam Myouhou Renge Kyou for the first time, marking his Sho Tem Pou Rin (初転法輪: "first turning the wheel of the Law"). With this, he proclaimed that devotion and practice based on the Lotus Sutra was the correct form of Buddhism for the current time. At the same time he changed his name to Nichiren, nichi (日) meaning "sun" and ren (蓮) meaning "lotus". This choice, as Nichiren himself explained, was rooted in passages from the Lotus Sutra. 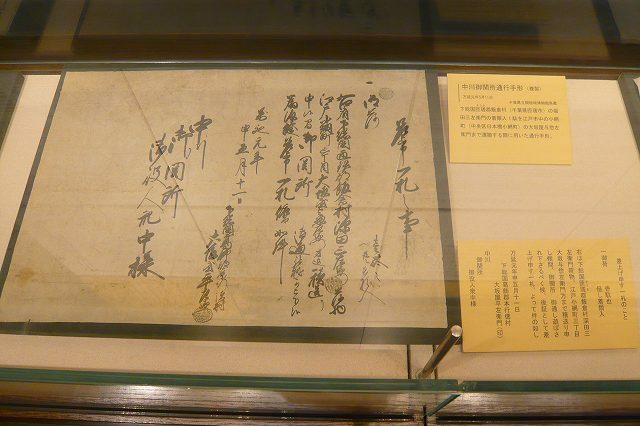 After making his declaration, which all schools of Nichiren Buddhism regard as marking their foundation, Nichiren began propagating his teachings in Kamakura, then Japan's de facto capitol since it was where the shikken (regent for the shogun) and shogun lived and the government was established. He gained a fairly large following there, consisting of both priests and laity. Many of his lay believers came from among the samurai class. 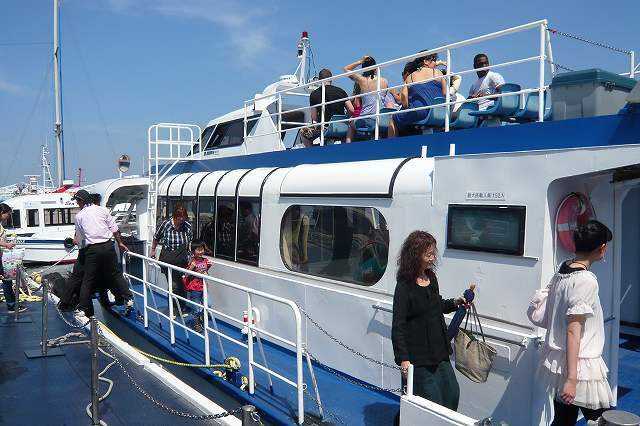 Despite its name, there are no monkeys on Sarushima, so you just have to bring your own. 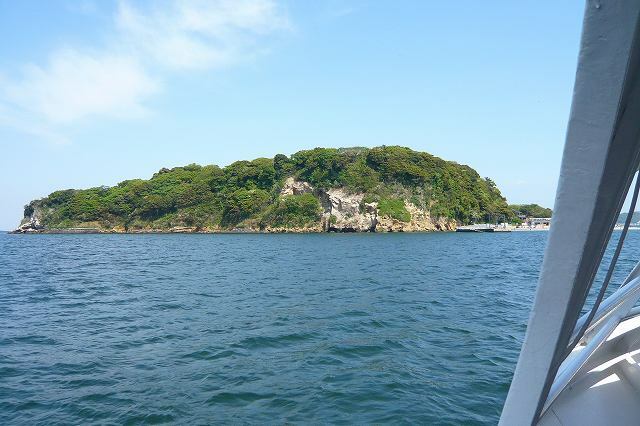 The only island in Tokyo Bay that does not have cliffs and beaches made of concrete, Monkey Island lies 1.7km off Yokosuka. 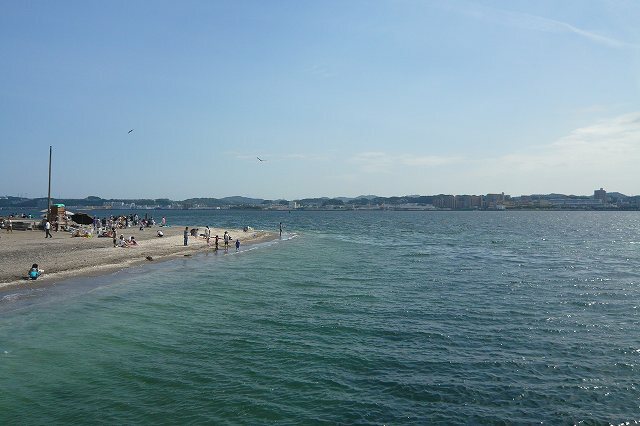 Covering a mere 5 hectares, the island controls the shipping lanes at the entrance to the bay and its strategic importance was recognized as far back as the mid-1800s. 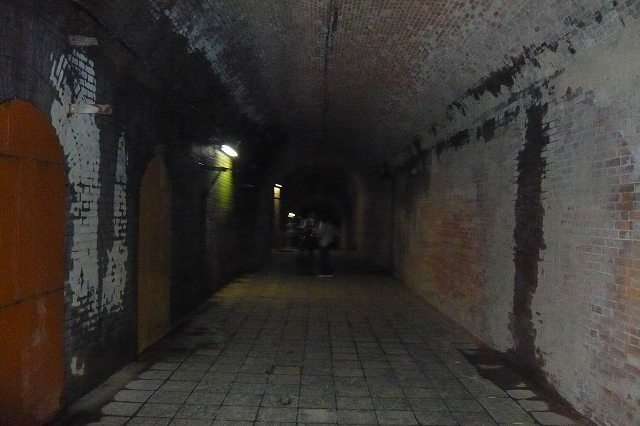 Military facilities that were constructed during the Tokugawa Shogunate remain today, including brick-lined tunnels and magazines where ferns now grow out of the walls. The island's importance increased during World War II, and a series of connected artillery positions were sited on top of the cliffs at the northern tip of the island. 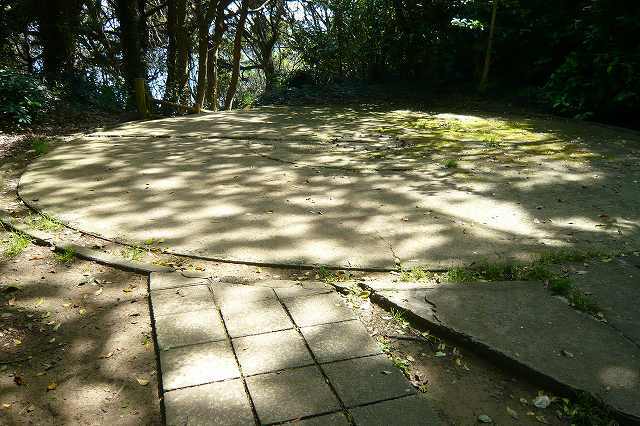 All that remains now are the concrete bases embedded with rusting bolts, but the positions still command excellent views over the bay. 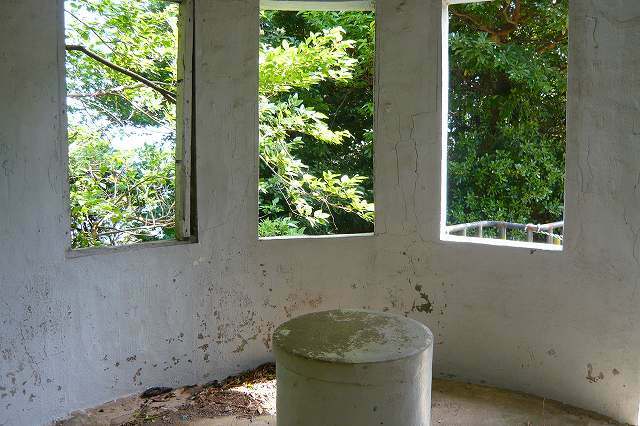 Paths through stands of bamboo and heavy undergrowth take visitors the length of the island and up to the highest point–a mere 35 meters above the waves below where the paint on a three-storey lookout post is peeling. At the most northerly point, a metal stairway descends the cliff face to a rocky promontory that is a favorite among fishermen. Clambering over the outcrops reveals rock pools and legions of shellfish, but the surfaces can be slippery and the tide can rise quickly, making getting back to dry land sometimes hazardous. 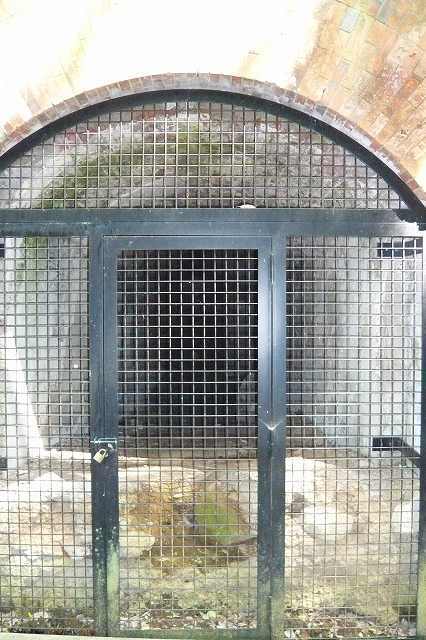 A cave part-way down the face has a small statue with the familiar red bib surrounded by piles of small pebbles. 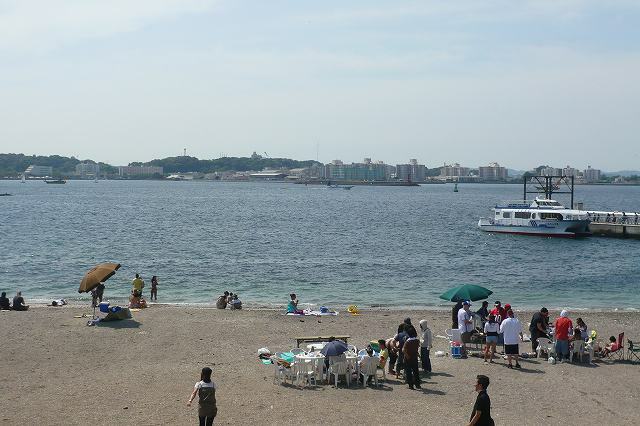 At the southern end of the island, looking across the water to the city of Yokosuka and the US naval base, the beach is a sheltered spot for swimming in the summer and barbecues for a greater part of the year. 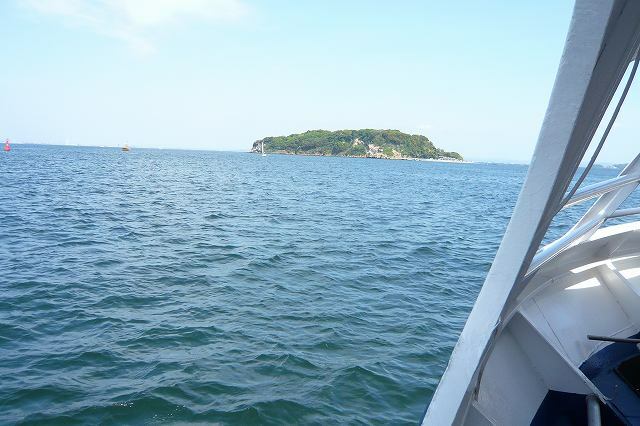 According to legend, it was to this beach that a famous priest was guided by a white monkey, giving the island its name. The sand may be more grey and grainy than South Pacific fine, but it works just as well for sand castles and it may be the island's position in the currents feeding Tokyo Bay, but a lot of interesting flotsam seems to wash up on its shores. Dozens of different sea shells mark the high-tide line, along with pieces of wood rubbed smooth by the waves, the remains of small crabs, strands of seaweed and the occasional piece of colored sea glass. 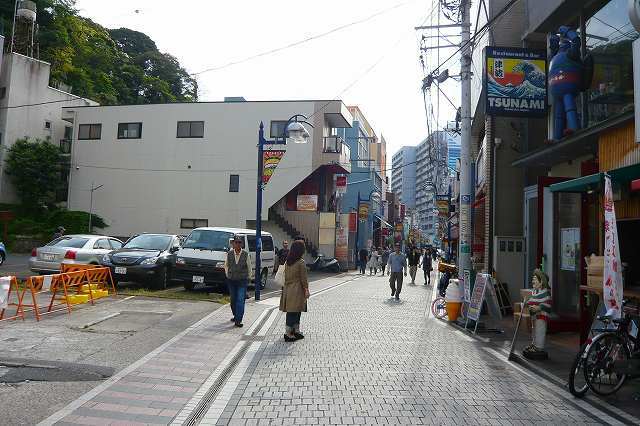 The area around present-day Yokosuka city has been inhabited for thousands of years. Archaeologists have found stone tools and shell middens from the Japanese Paleolithic period and ceramic shards from the Jomon and Kofun periods at numerous locations in the area. 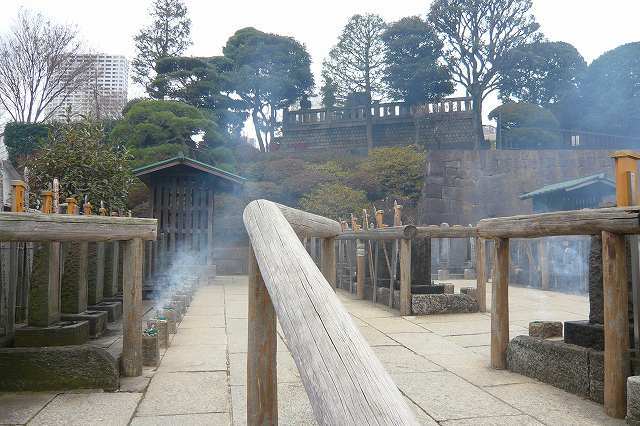 During the Heian period, local warlord Muraoka Tamemichi established Kinugasa Castle in 1063. He became the ancestor of the Miura clan, which subsequently dominated eastern Sagami Province for the next several hundred years. 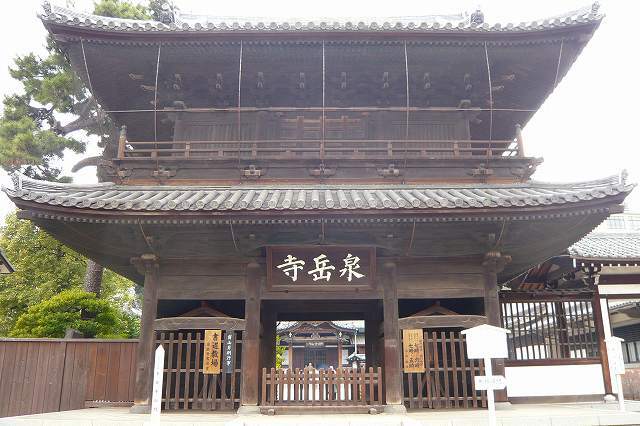 The Miura clan supported Minamoto no Yoritomo in the foundation of the Kamakura shogunate, but were later annihilated by Houjou Tokiyori in 1247. 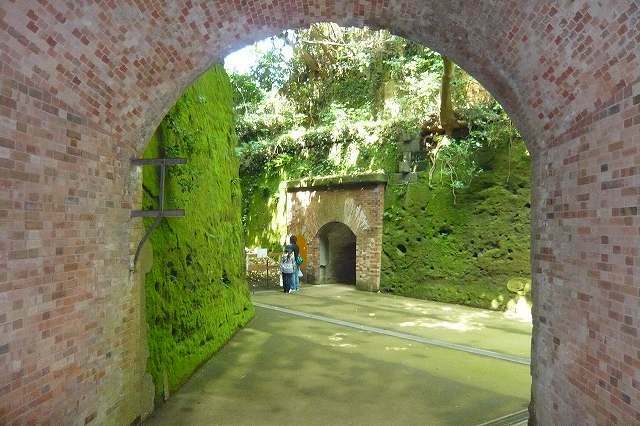 However, the family name was reassigned to a supporter of the Houjou clan, and the Miura continued to rule Miura Peninsula through the Muromachi period until their defeat at Arai Castle in a 1518 attack by Houjou Souun. 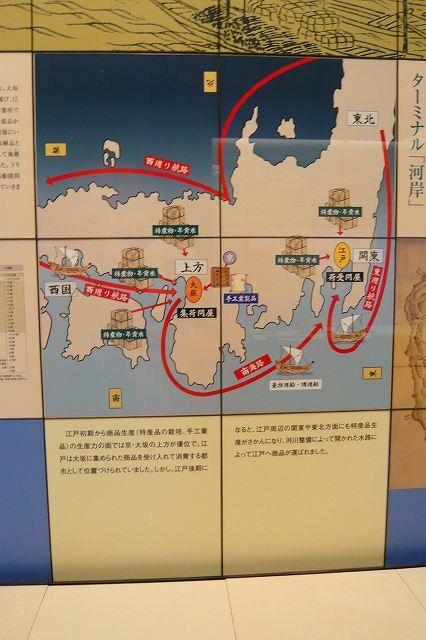 Following the defeat of the Late Houjou clan at the Battle of Odawara, Toyotomi Hideyoshi transferred Tokugawa Ieyasu to take control over the Kantou region, including Yokosuka in 1590. The adventurer William Adams (inspiration for a character in the novel Shougun), the first Briton to set foot in Japan, arrived at Uraga aboard the Dutch trading vessel Liefde in 1600. 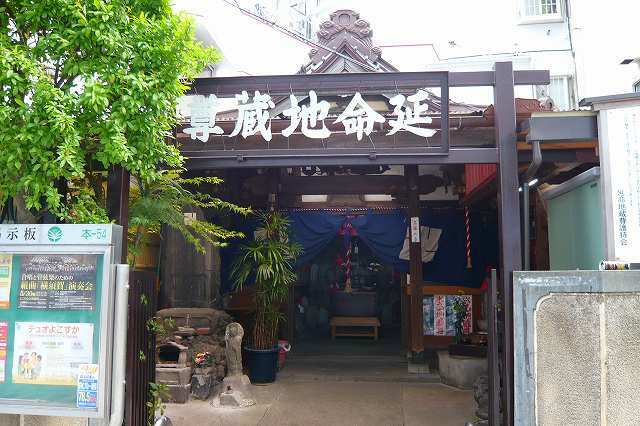 In 1612, he was granted the title of samurai and a fief in Hemi within the boundaries of present-day Yokosuka, due to his services to the Tokugawa shogunate. 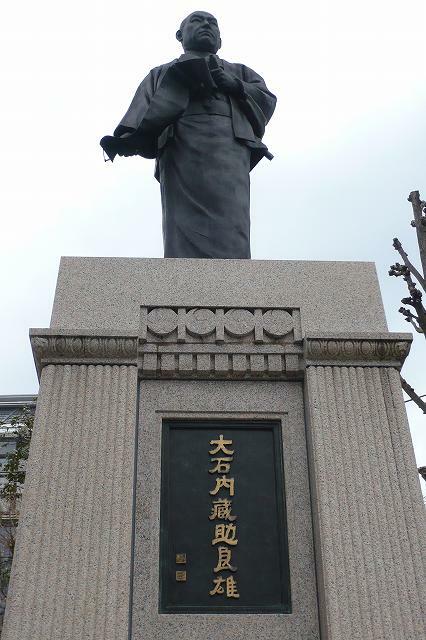 A monument to William Adams (called Miura Anjin in Japanese) is a local landmark in Yokosuka. During the Edo period, Yokosuka tenryou territory controlled directly by the Tokugawa shogunate, but administered through various hatamoto. 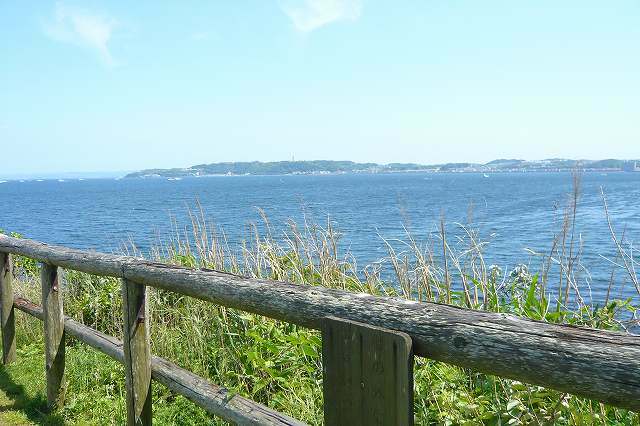 Due to its strategic location at the entrance to Tokyo Bay, the Shogunate established the post of Uraga Bugyou in 1720, and all shipping into the bay was required to stop for inspection. 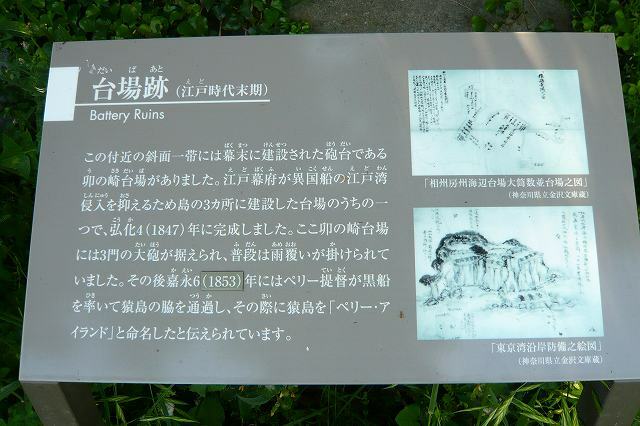 As concerns over the increasing number of incursions by foreign vessels and attempts to end Japan's self-imposed national seclusion policy, the Shogunate established a number of coastal artillery batteries around Yokosuka, including an outpost at outsu in 1842. However, despite these efforts, in 1853, United States naval Commodore Matthew Perry arrived in Tokyo Bay with his fleet of Black Ships and came ashore at Kurihama, in southern Yokosuka, leading to the opening of diplomatic and trade relations between Japan and the United States. The Kanrin Maru sailed from Yokosuka in 1860 with the first Japanese diplomatic embassy to the United States in 1860. 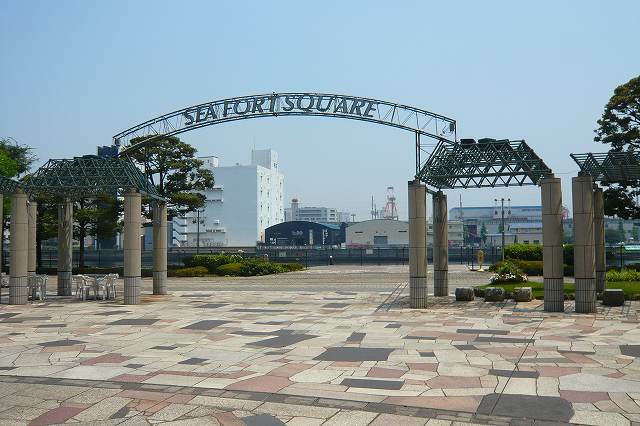 During the turbulent Bakumatsu period, the Shogunate selected Yokosuka as the site for a modern naval base, and hired the French engineer Leonce Verny in 1865 to oversee the development of shipbuilding facilities, beginning with Yokosuka Iron Foundry. 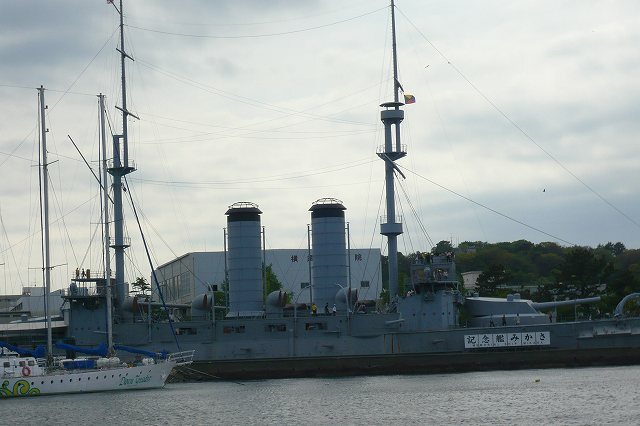 Yokosuka Naval Arsenal became the first modern arsenal to be created in Japan. 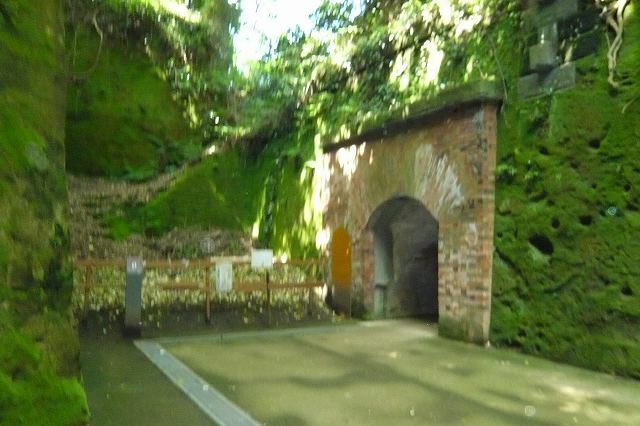 The construction of the arsenal was the central point of a global modern infrastructure, that was to prove an important first step for the modernization of Japan's industry. 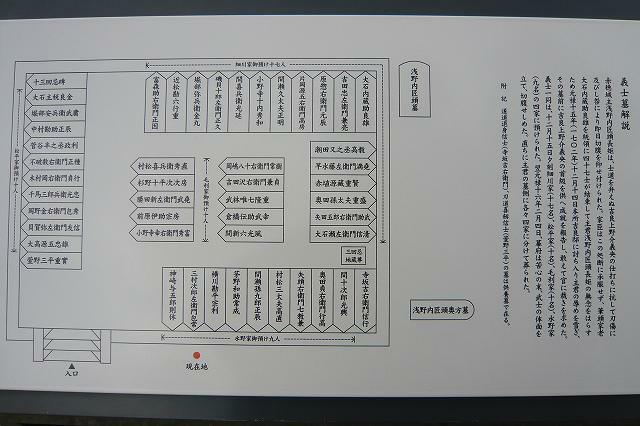 Modern buildings, the Hashirimizu waterway, foundries, brick factories, and technical schools to train Japanese technicians were established. The Naniwa Maru (浪華丸) is a replica ship of a typical Japanese trader from the Edo period (1603-1868) known as a higaki kaisen (菱垣廻船). 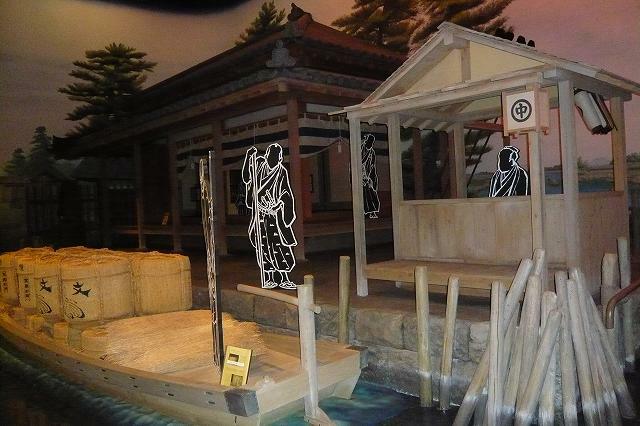 During the Edo period higaki kaisen ships were used to transport basic materials between Osaka and Edo, up the coast. Materials transported included cotton, oil, paper and medicines. 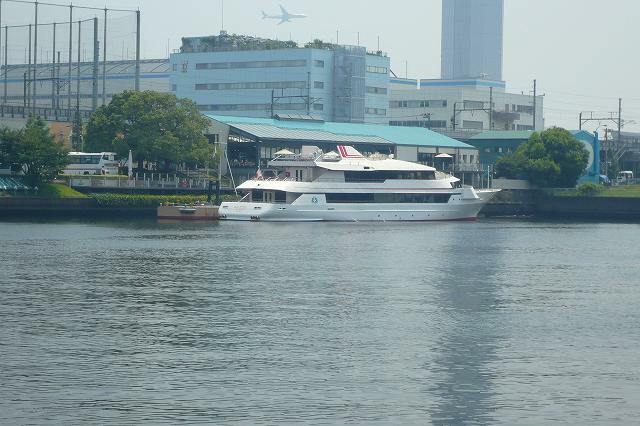 The name Naniwa Maru comes from the ancient name for Osaka - Naniwa, and the usual postfix given to Japanese trading vessels, Maru. 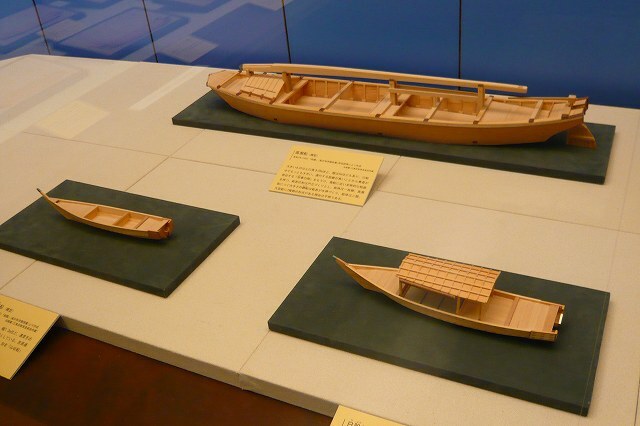 The type of ship, higaki kaisen, originates in the name of the rhomboid-shaped bamboo gunwales, higaki, which helped keep the goods on deck, and kaisen, or "coastal boat". The ship uses a number of different woods in its construction. Pine, cedar, Japanese cypress and evergreen oak are all used in the construction of the hull and mast, whilst the sail is a cotton canvas known as a matsuemon-ho and there are old Japanese-style nails such as nuikugi and toshikugi. 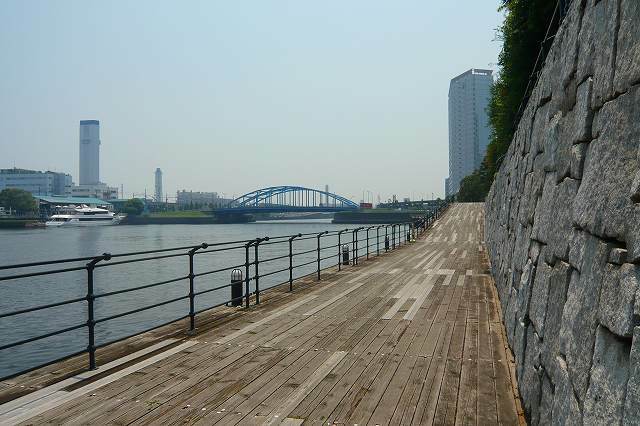 The majority of Koto-ku sits on reclaimed land built up since the Edo period. 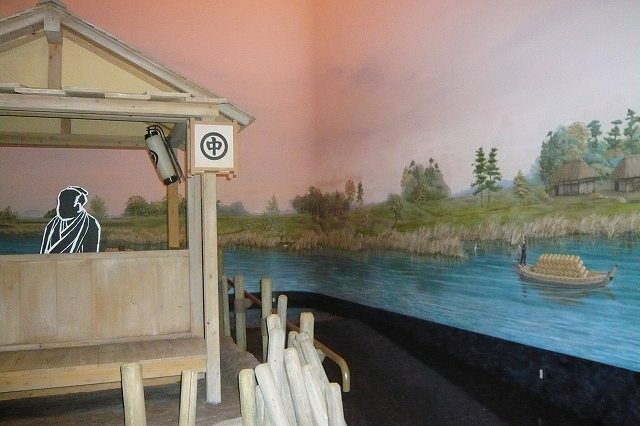 Many canals were dug along with the landfill construction and these canals have made a big impact on the industry and culture of Koto-ku. 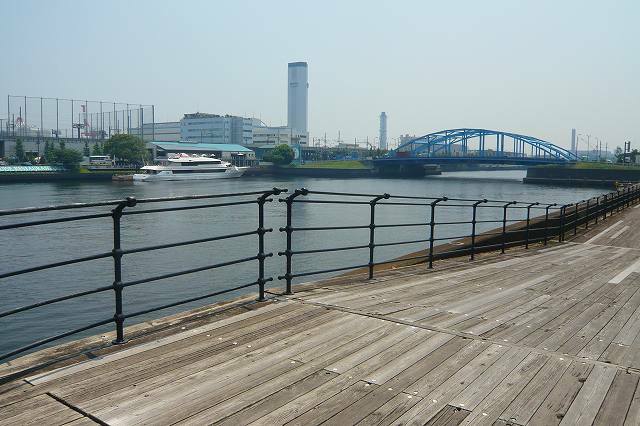 The Fukagawa Waterway Station, whose function was to check waterway-bound trades, originally stood by the Onagigawa waterway at the mouth of the Sumida river, however it was relocated to the point where the Nakagawa, Onagigawa, and Funahorigawa waterways meet. 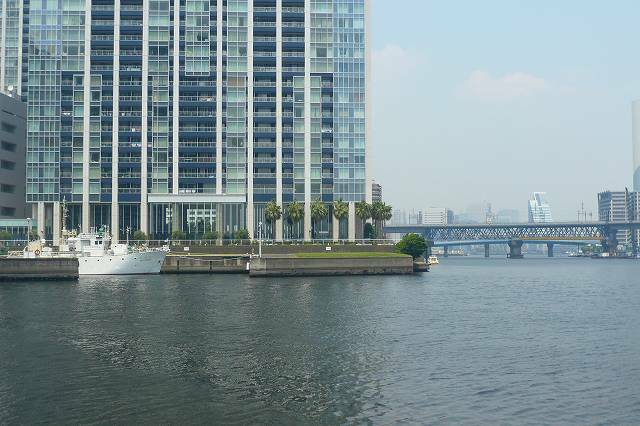 It became the Nakagawa Waterway Office in 1661. 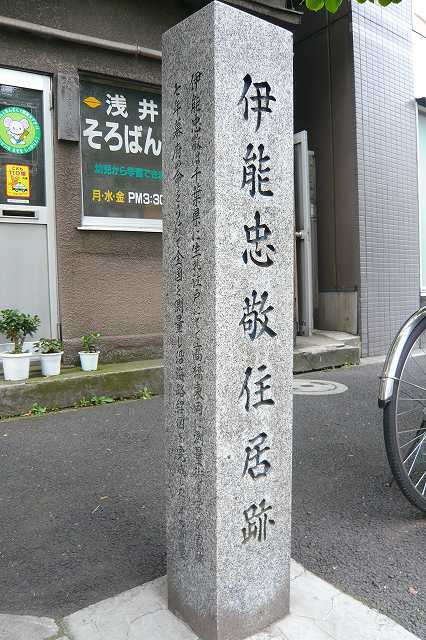 It was at one time hypothesized that the exact point where the Nakagawa Station used to stand was at the present day address of 9-1 Oshima, Koto-ku. Archeological evidence including pillars and foundation stones discovered during an excavation in 1995 confirmed this to be the case. 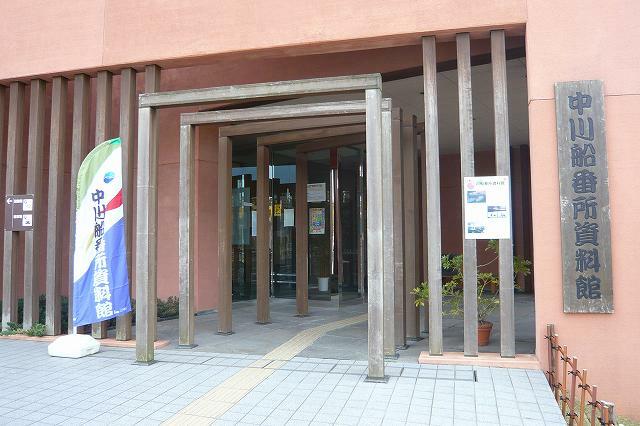 Nakagawa Funabansho Museum is situated 50 meters north of this location. 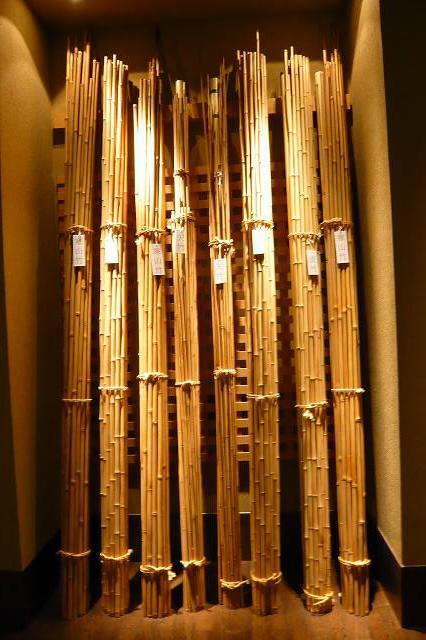 Tokugawa shogun placed 53 sekisho (facility for inspection) on major roads across the nation to defend Edo. 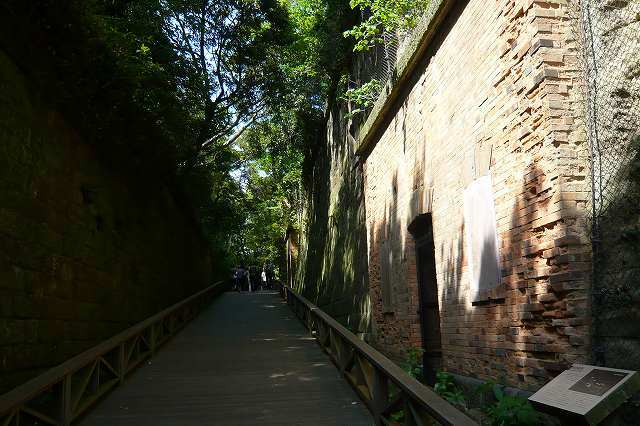 Hakone Sekisho was one of the largest and was thought to be important among them. 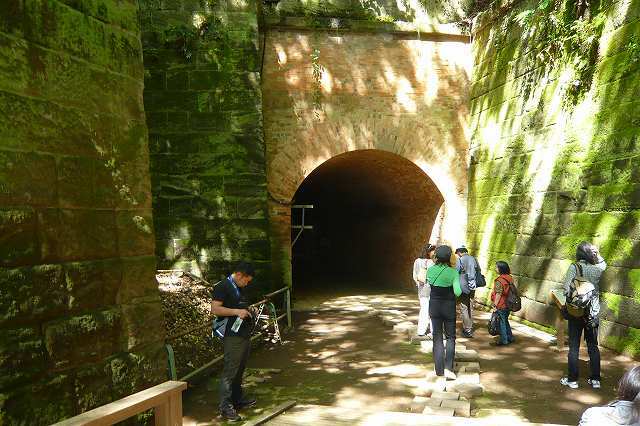 Hakone Sekisho was placed on the current location in 1619, during an early period of Edo Era. 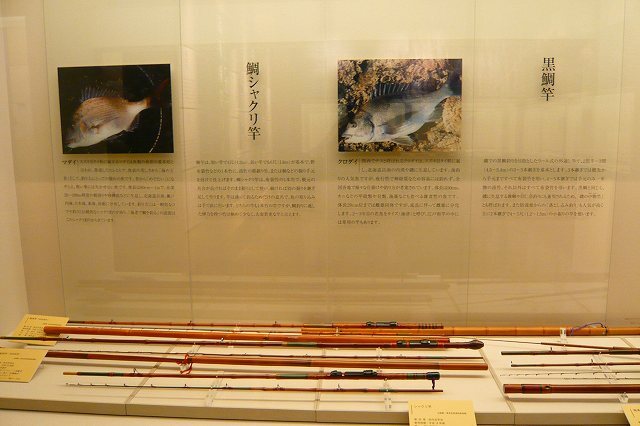 One of the main roles of sekisho was to control 'incoming guns and outgoing women', which means to prevent weapons from being brought into Edo and wives and children of feudal lords from fleeing from Edo. 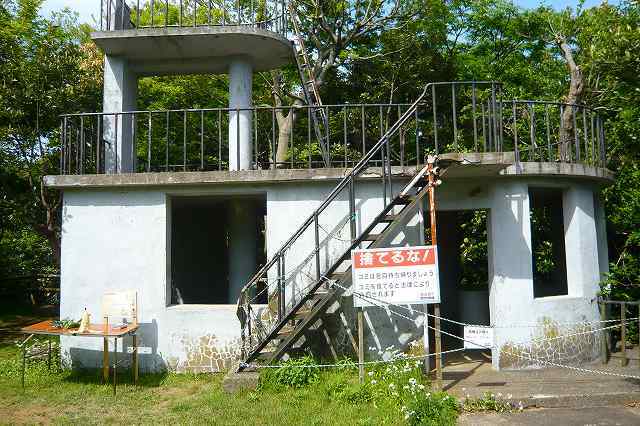 However, Hakone Sekisho did not inspect 'incoming guns', and severely inspected 'outgoing women'. Sekisho, which operated for about 260 years during Edo Era, was dissolved in the next year of 1868, when the government changed. Kanadehon Chuushingura ("The Treasury of Loyal Retainers") is based on a true incident which took place between 1701 and 1703. 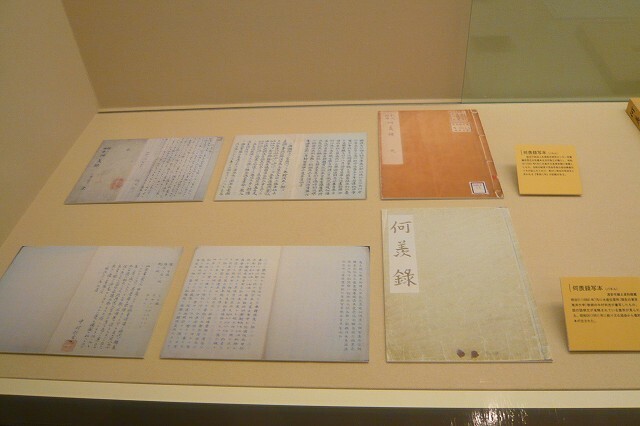 To avoid shogunate censorship, the authors set the play in the earlier Muromachi period (1333-1568) and the names of the characters were altered. The central story concerns the daimyou Enya Hangan, who is goaded into drawing his sword and striking a senior lord, Kou no Moronou. Drawing one's sword in the shogun's palace was a capital offense and so Hangan is ordered to commit seppuku, or ritual suicide by disembowelment. The ceremony is carried out with great formality and, with his dying breath, he makes clear to his chief retainer, Ooboshi Yuranosuke, that he wishes to be avenged upon Moronou. Forty-seven of Hangan's now masterless samurai or rounin bide their time. 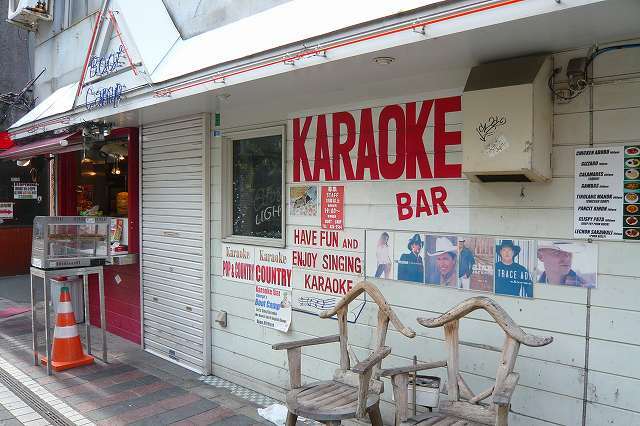 Yuranosuke in particular, appears to give himself over to a life of debauchery in Kyoto's Gion pleasure quarters in order to put the enemy off their guard. In fact, they make stealthy but meticulous preparations and, in the depths of winter, storm Moronou's Edo mansion and kill him. Aware, however, that this deed is itself an offense, the retainers then carry Moronou's head to the grave of their lord at Sengaku-ji temple in Edo, where they all commit seppuku. 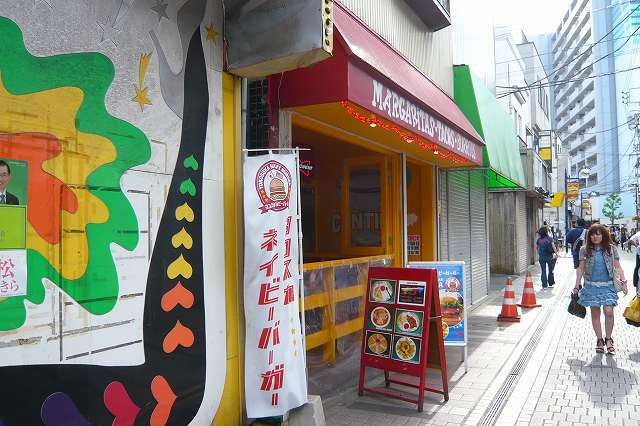 Asano Naganori was the daimyo of the Ako Domain in Japan. His title was Takumi no Kami. He is known as the person who triggered a series of incidents retold in a story known as Chushingura, one of the favourite themes of kabuki, joruri and Japanese books and films. He was born in Edo as the eldest son of Asano Nagatomo. His family was a branch of the Asano family whose main lineage was in Hiroshima. 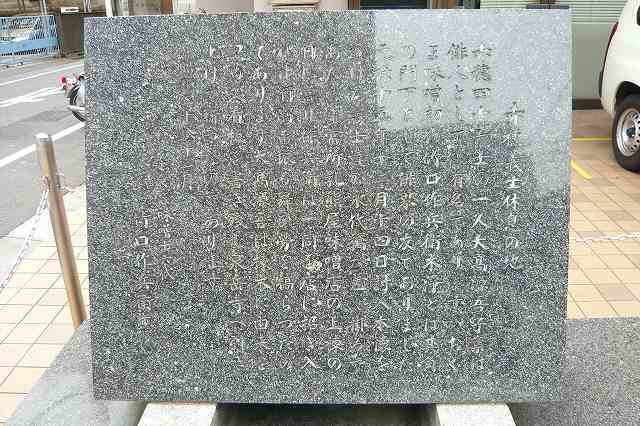 His grandfather Naganao was appointed to the position of daimyo of Ako with 50 thousand koku. 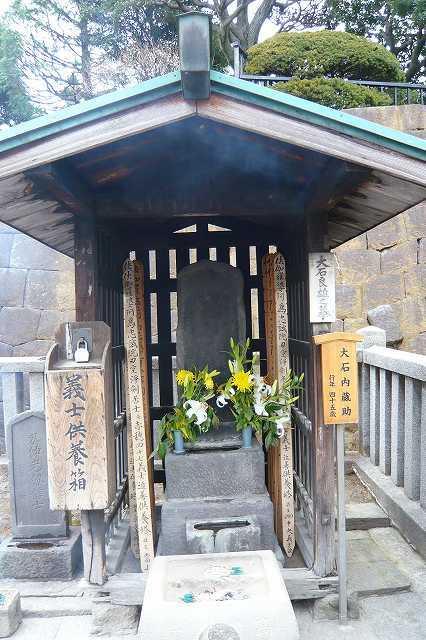 After Naganao died in 1671, Nagatomo succeeded to the position but died after three years in 1675. 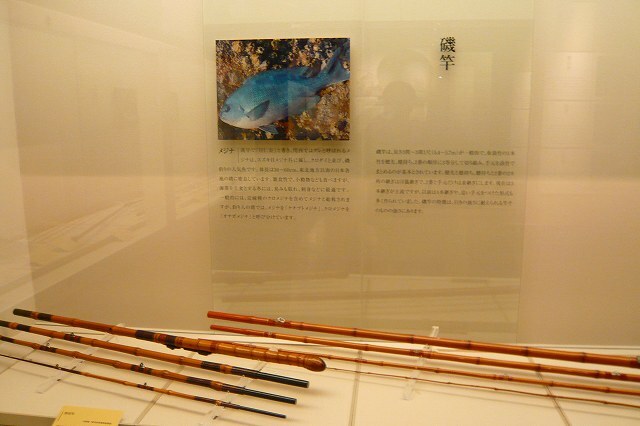 Naganori succeeded to his father at the age of nine. In 1680, he was appointed to the office of Takumi no Kami, the head of carpentry at the imperial court, but this office was nominal, as were other offices granted to samurai at that time, and only had an honorific meaning. 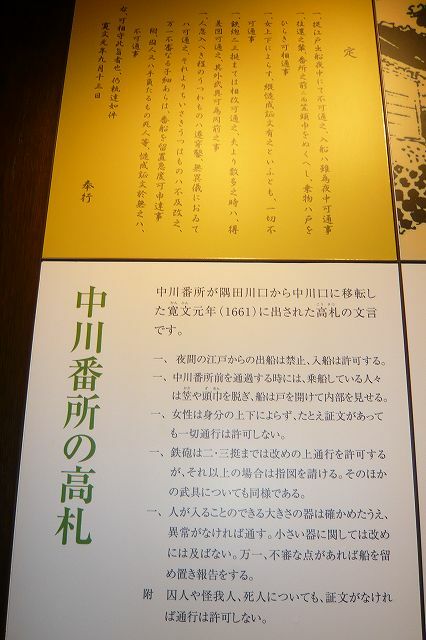 As a daimyo with a small fief, he was appointed several times to temporary minor offices of the Tokugawa shogunate. In 1683, he was first appointed to be one of two officials to host the emissaries from the imperial court to the Shogunate. 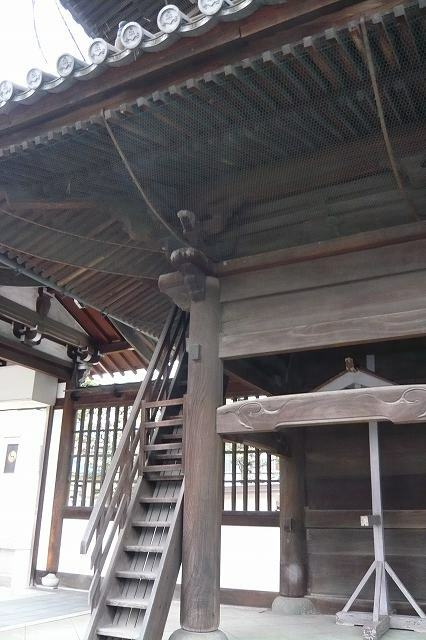 It was the first time he met Kira Yoshinaka, the highest-ranking kouke, the head of ceremonial matters at the Shogunate, who instructed officials in the manner of hosting noble guests from Kyoto. In 1694, he suffered from a serious illness. He had no children, thus no heir at that time. When a daimyo died without a determined heir, his house would be abolished by the Shogunate, and his lands confiscated; his retainers would become ronin. To prevent this, he adopted his younger brother Asano Nagahiro, titled Daigaku, and Nagahiro was accepted as his heir by the Shogunate. In 1701, he was appointed for the second time to the same office. It is said that he was then on bad terms with Kira Yoshinaka and tension between them increased. "kaze sasofu / hana yori mo naho / ware wa mata / haru no nagori o / ika ni toyasen." "More than the cherry blossoms, Inviting a wind to blow them away, I am wondering what to do, With the remaining springtime." 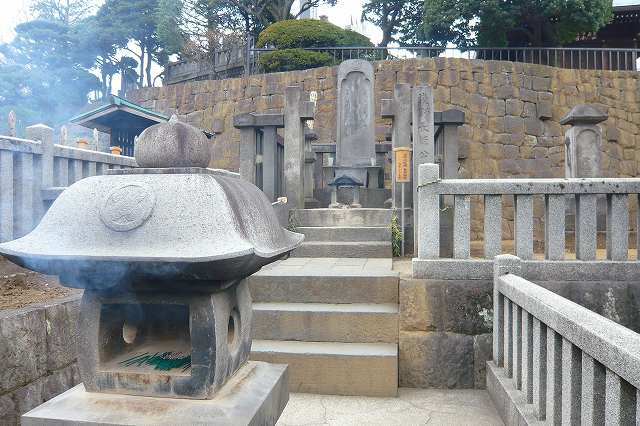 He was buried in the graveyard of Sengaku-ji. His retainers became ronin when the Shogunate confiscated his fief. Under the leadership of Oishi Kuranosuke they avenged the death of their lord by killing Kira at his mansion in Edo on December 15, 1702. These former retainers became famous as the Forty-seven Ronin, and the vendetta ranks as one of the most famous vendettas in Japan. Ooishi Yoshio was the chamberlain (karou) of the Ako han in Harima Province (now Hyogo Prefecture), Japan. He is known as the leader of the Forty-seven Ronin in their 1702 vendetta and thus the hero of the Chuushingura. He is often referred to by his title, Ooishi Kuranosuke. He served Asano Naganori as the head chamberlain (hittougarou) for the Asano estate, supervising the daily running of the castle and the samurai. Due to the Tokugawa rules which required all the daimyos to spend every other year in Edo, the chamberlain was a very important man and the defacto ruler of the estate when the daimyo was away. Having attained this office at a rather young age, he is said to have had the implicit trust of his lord. When Asano committed seppuku as punishment for his failed attempt to kill Kira Yoshinaka in Edo castle and the Tokugawa shogunate abolished the house of Asano in Ako, Ooishi was in Ako and managed all its administrative issues. He persuaded other samurai to vacate the castle to the agents of the Shogunate. During the next two years many people wondered what Ooishi would do as he had a reputation as an honorable and capable man. 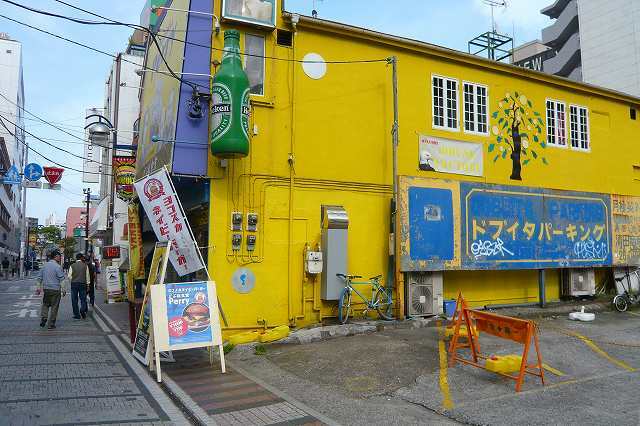 He attempted to get the permission to re-establish the house of Asano but failed. He then began a careful plot to kill Lord Kira but to throw off suspicion spent time (and money) in the Geisha houses of Kyoto. He carried out his role well - and secretly coordinated the movements of the remaining loyal Asano samurai. Nearly two years passed before the attack was launched. 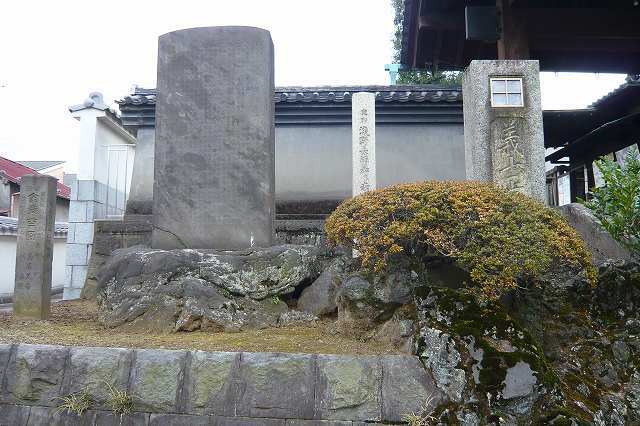 In January 1703, he, with 46 other Ako ronin, attacked Kira at his residence in the Honjo neighborhood of Edo. Kira was killed and decapitated. 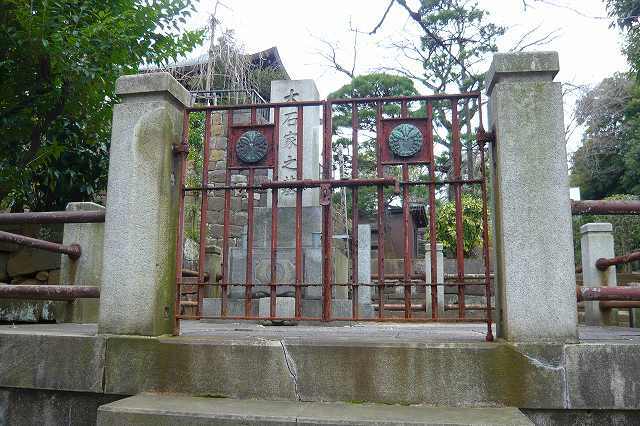 After Ooishi dispatched Terasaka Kichiemon to inform Asano's widow Youzeiin of the deed, he and the remaining 45 ronin went to Sengaku-ji in Shinagawa where Naganori was buried and there they were arrested. He and the other ronin were sentenced to commit seppuku. Since it was an honorable sentence rather than merely decapitation, everyone accepted this sentence as an honor. After death, Ooishi became famous as the example of ideal samurai behavior. His ultimate goal of reestablishment of the Asano clan was realized as the Tokugawa shogunate did restore some lands (about 1/10 of the original holdings) to the Asano clan. Ooishi was in fact related to the Asano clan by blood, as several generations prior, an Ooishi man married a daughter of the Asano. Inou Tadataka was a Japanese surveyor and cartographer. 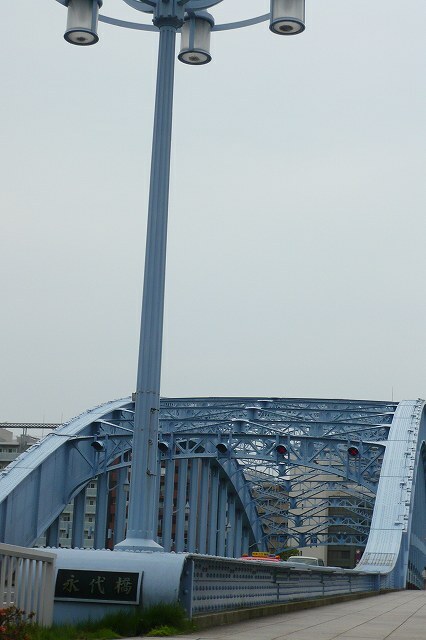 He is known for completing the first map of Japan created using modern surveying techniques. 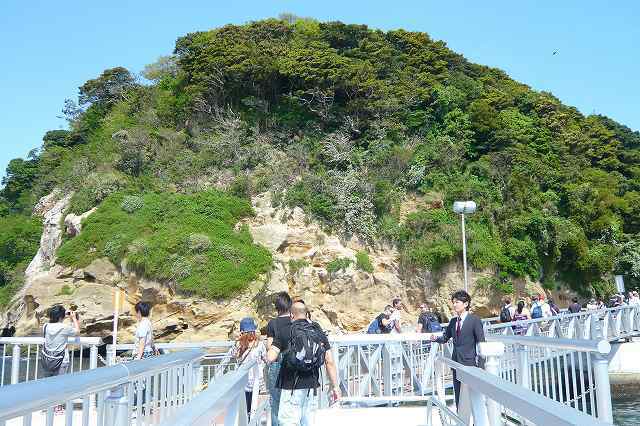 Inou was born in Kujukuri, a coastal village in Kazusa Province, in what is now Chiba Prefecture, and was adopted by the prosperous Inou family of Sawara, a town in Shimo-Osa Province. He ran the family business, expanding its sake brewing and rice-trading concerns, until he retired at the age of 49. At this time he moved to Edo and became a pupil of astronomer Takahashi Yoshitoki, from whom he learned Western astronomy, geography, and mathematics. In 1800, after nearly five years of study, the Shogunate permitted Inou to perform a survey of the country using his own money. 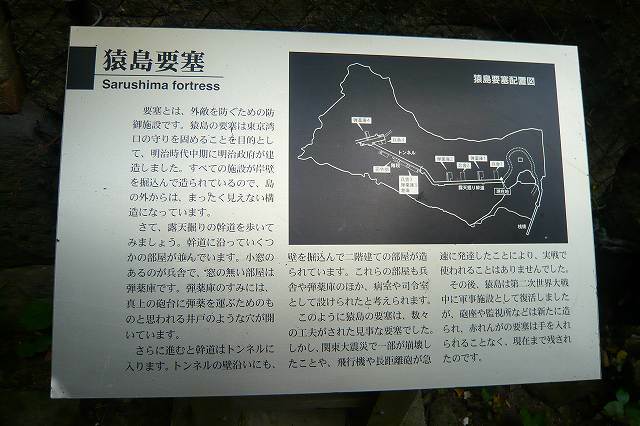 This task, which consumed the remaining seventeen years of his life, covered the entire coastline and some of the interior of each of the Japanese home islands. 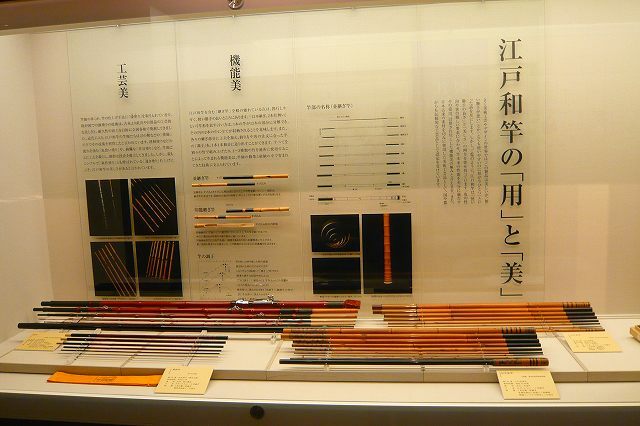 During this period Inou reportedly spent 3,736 days making measurements (and travelled 34,913 kilometres), stopping regularly to present the Shogun with maps reflecting his survey's progress. 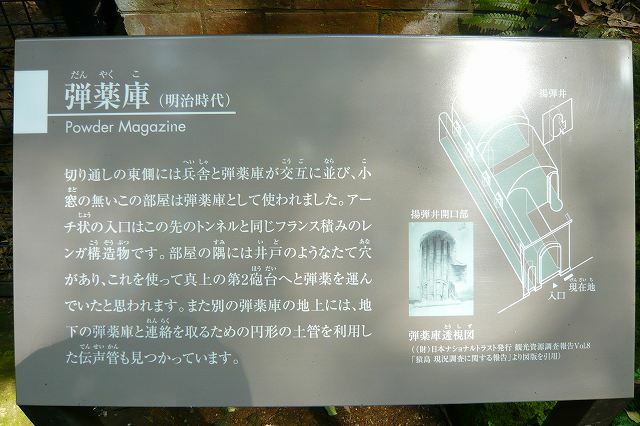 He produced a number of detailed maps of select parts of Japan, mostly in Kyuushuu and Hokkaido. Inou's magnum opus, his 1:216,000 map of the entire coastline of Japan, remained unfinished at his death in 1818, but was completed by his surveying team in 1821. An atlas collecting all of his survey work, entitled Dai Nihon Enkai Yochi Zenzu (大日本沿海輿地全図 = maps of Japan's coastal area), was published that year. It showed the entire country on eight pages at 1:216,000, 214 pages of select coastal areas at 1:36,000, and three pages of fine detail at 1:432,000. The Inou-zu, many of which are accurate to 1/1000 th of a degree, remained the definitive maps of Japan for nearly a century, and maps based on his work were in use as late as 1924. 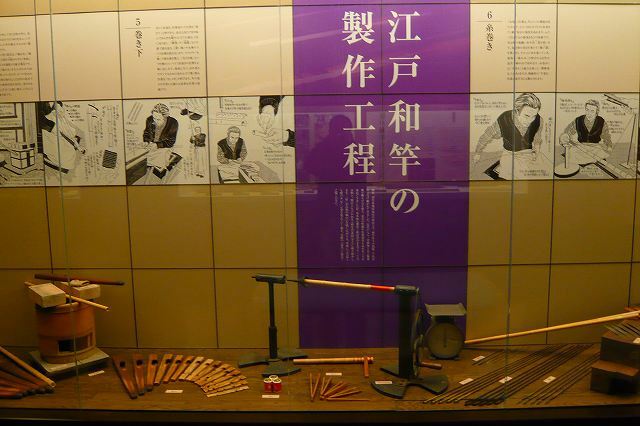 In addition to his maps, Inou produced several scholarly works on surveying and mathematics, including Chikyu sokuenjutsu mondo and Kyukatsu en hassenho.